Hi! I am Carley, I am a Certified Nutritional Therapy Practitioner (NTP) and Certified GAPS Practitioner (CGP). Thank you so much for taking the time to visit my site! Click here to learn more about me. Cioppino is essentially a fish stew generally made with a tomato and wine sauce. This is one stew I don't mind eating on a hot summer day because it's always so light and refreshing. Feel free to get creative with the seafood of choice, whatever you can find fresh is always best! 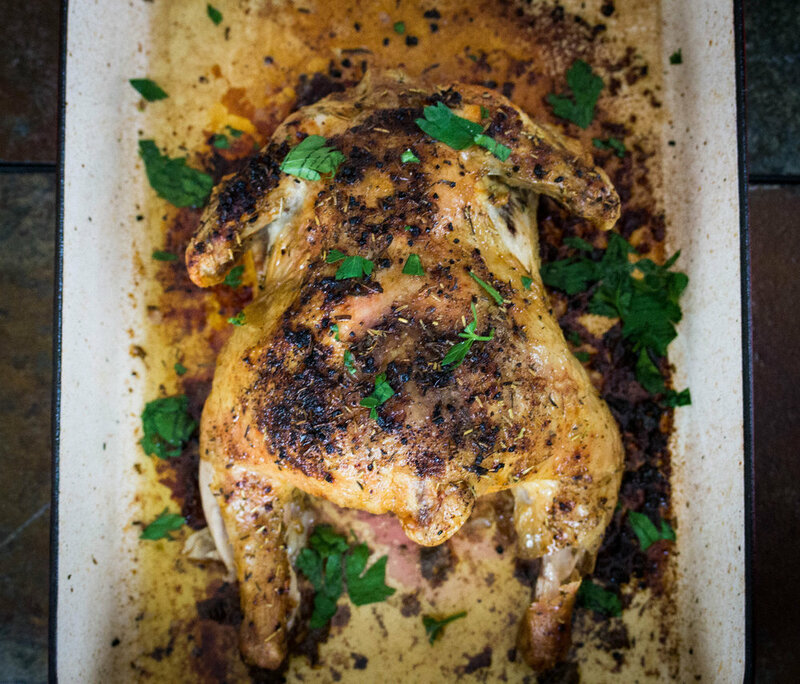 What I love about roasting chicken is that not only do you get delicious, tender chicken to eat but after you remove the chicken from the bone, you can use the carcass to make one of the most flavorful bone broths in the world! Bone broth is full of countless nutrients like amino acids, vitamins, minerals, as well as gut healing nutrients like L-glutamine and collagen. Check out my article for more information on the amazing health benefits of bone broth! Thank you for your interest! Please check your email soon to confirm subscription.